Harmonic Resonance Bodywork in Victoria B.C. Harmonic Resonance Bodywork for Healing, Mobility Recovery and Embodiment! Restores Natural Health, Immunity & Movement! Free introductory 20 minute initial sessions are available to new clients. What is Harmonic Resonance Bodywork? Harmonic Resonance bodywork allows you to move more freely with less pain and tension. You’ll feel looser, deeply relaxed, and have greater mental clarity. Harmonic Resonance Bodywork, based on Trager, is “movement medicine”, a heart centered, pain free healing therapy which is very effective for restoring mobility after injury, boosting immunity, and helping with stress through relaxation and meditation . It is a blend of the gentle rocking movement therapy of Dr. Milton Trager MD, Massage, Sufi and Buddhist healing methods as well as Matrix Energetics. It’s a wholistic bodywork, invented in Victoria in 2010. You are fully clothed in flexible clothing such as yoga clothes or soft pants and top. Ian Soutar, a Professionally Trained Bodywork Practioner using Harmonic Resonance Bodywork, based on the work of Dr. Milton Trager MD. I am interested in healing and am a Certified Trager Practitioner, completed training in 1990 and re-licenced for 2018. I can be found on the Trager Canada website as a registered practioner. Therapy Styles Offered: You can be fully clothed in yoga style or flexible clothing for Standard Harmonic Resonance Massage with several healing options. I see Ian regularly for Harmonic Resonance Bodywork sessions. They are soothing, relaxing, aligning & Rejuvenating. I like being fully clothed while receiving the treatment & the heated table is nice! Ian’s work is always respectful, gentle and satisfying. I will always go back! “From the moment I met Ian I was treated with respect and a warm welcome. He was very good at explaining his process and helped alleviate my nerves by assuring me I could notify him at ANY TIME, during the session if I needed to stop for any reason. Ian is a good listener and asks many questions to begin with while taking time to not make any part of the process feel rushed. I felt very cared for and comfortable in his care for this delicate work and would recomend him for anyone wanting to explore this healing modality. I went to ian for a harmonic resonance bodywork treatment for a few sessions and i felt completely relaxed and balanced during and afterwards. I was new to this type of holistic health treatment and was amazed at how calm and rested my body felt afterwards. Definitely a unique style and highly beneficial to my overall well-being. I noticed that i felt energetically and physically aligned between treatments. I would absolutely recommend this to anyone looking to feel completely at ease and free from pain. “From knowing Ian and his wife, Barbara, as neighbours, for almost a year — I can attest to the fact that Ian’s ethics are in the right place. So, “safety first”! Ian works out of an Artist Warehouse-type of building. His “spiritual” private massage-table office area is at the back of the warehouse space (and a larger electronic office) via a nice waiting area … complete with a cosy Scandanavian Design lamp. I looked up at his father’s United Church Minister’s portrait above the table … Then, I relaxed and “tuned in” to the changing New Age or World Music. 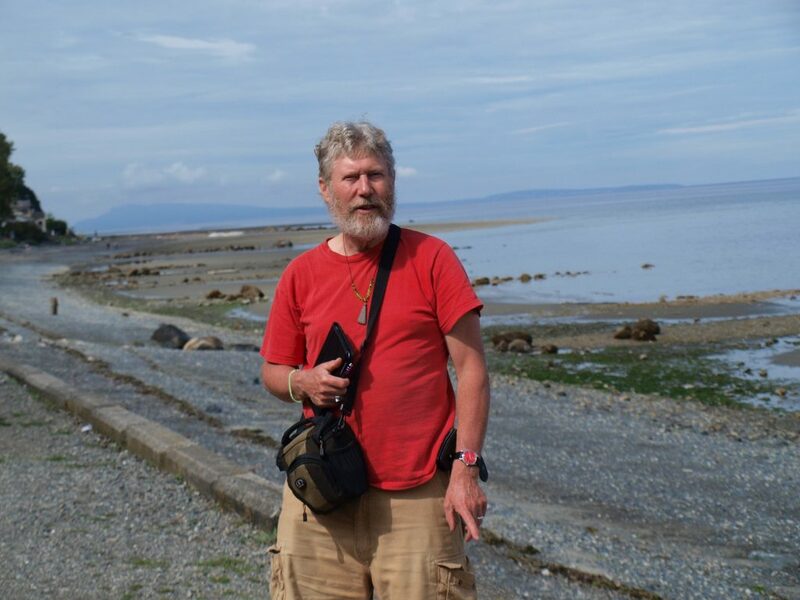 Ian is a talented healer whose brand of bodywork is helpful. He is a generous soul and I can recommend him for his training and “seeming” energy work. I understand that he writes for certain e-publications about his process. He seeks out new paths for this new era where people like me, in the Expressive Arts, are searching for alternatives to match other modalities and Western Med. For a long time I have dealt with problems centered on specific ligaments and tendons that connect my right hip. I move heavy underwater mining components which resulted in a previous injury. Recently, I felt as though I had a pinched nerve there. First of all, Ian shared a thorough explanation of the process of Harmonic Resonance Body Work. He then explained how his Harmonic Body Work session may help my condition. The session went along very comfortable and relaxing. Not once did I feel any discomfort to my hip. After the session I felt an absence of tightness or pinching at the injury site. Later that day I hiked on uneven terrain along the coast for over 4.5 hours. Bending,squatting, and sitting gave no signs of pain. As an unexpected benefit, I had a continuing abundance of physical and mental energies. For the last several days I haven’t noticed any pain in my hip. Guaranteed I will return to Ian’s Business if the need arises. He has certainly developed some very detailed skills and accomplishments in this field. Additionally, his personality pairs nicely with the profession. I am totally convinced that Harmonic Resonance Bodywork is effective,quick acting and legitimate. Thank you, Ian Faulkner for the wonderful session! I couldn’t get enough and had to get the full hour XD This therapy was intimate without anxiety and was like being rocked by a mother or father full of loving intent. I felt lighter and the world seemed brighter afterwards. Very good healing! At first I did not know what to expect from this blend of (Trager and Sufi) bodywork, but quickly felt at ease with Ian and his therapy. The music that he allowed me to choose from to start our session was beautiful and the prayer he began our work with moved me. I felt nurtured and respected thoroughout. Harmonic Resonance Bodywork felt like a gentle therapy and Ian an intuitiive and receptive healer. 26 year old Victoria woman dance instructor S.W. 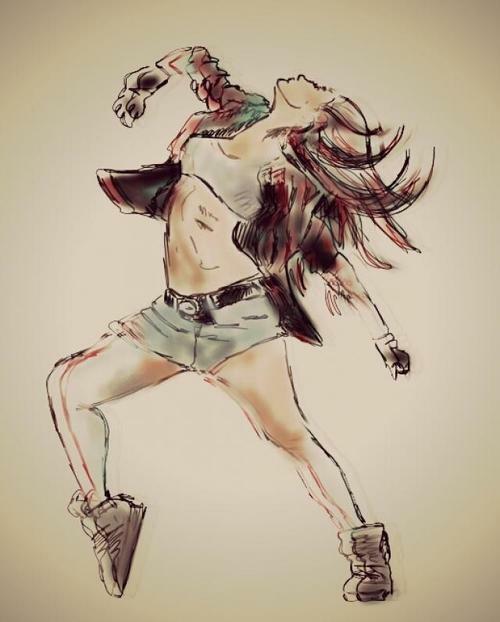 “I have had a lot of injuries over the years because of my job as a professional dancer. As I have gotten slightly older I found that what once were little aches turned into constant pain. I didn’t think much about this body work and frankly thought it wouldn’t have any effect on me. After my first session though I felt different. More balanced and would be how I would describe it. The amount of pain was noticeably reduced and I continued to feel much better for a while after. When the pain resurfaced I went back to Ian for another session and after this one again I felt much better and this time the pain stayed away. Ian is great at giving tricks and exercises to do that are very effective at keeping the pain away. It works. There’s really no other way to say it. During the session I felt very calm and respected. Ian’s sessions are a great way to explore your body’s states deeply and open up blockages that may be affecting your quality of life. Ian made a recommendation that provided a ground-breaking discovery about my long term chronic health condition, which no other practitioner could help me with. I am now squarely on the “healing path” and am very grateful for the role that Ian’s skillful support and intuitive insights have played in my recovery. 1/ You will receive a free initial consultation during which you can choose the therapy and options that suit you best. 2/ Free 20 minute sample sessions are offered for some therapies. Other discounts offered on first visit! 3/ The focus of Harmonic Resonance Bodywork is Healing and Movement Freedom Restoration. 4/ Harmonic Resonance is very helpful for restoring mobility after vehicle accident injuries. 5/ Harmonic Resonance Bodywork can be helpful for those suffering from Depression, Stress and those working with Meditation since the massage often induces a meditative state in the client. A positive state of mind stays with the client after treatment. 6/ A special throat and jaw treatment version of Harmonic Resonance Massage with exercises is helpful for public speakers and singers. Self help exercises are offered. Full one hour introductory bodywork session for $65 (normally $75). Full one hour introductory hot oil massage based bodywork session for $75 (normally $85). A hot organic coconut oil Harmonic Resonance/massage blended session (one hour + 15 minutes) is available. I charge $85 per session for the hot oil version. Customized therapies are available by negotiation for emotional trauma and other psychological issues and physical problems like arthritis. We offer bodywork, herb and other solutions. An interview is required. The Self Help Exercise class is available separately without bodywork for $35. The exercises were originally designed by Dr. Milton Trager in the 1930s. My prices are negotiable and Family, Weekly or Monthly Rates are available for ongoing therapies by agreement. Healing rituals are offered free to clients. Derived from both Sufi Healing and Medicine Buddha traditions, these can be added to the bodywork sessions upon request. Harmonic Resonance bodywork is a blend of the gentle rocking movement bodywork of Dr. Milton Trager MD, Massage, Sufi and Buddhist healing methods as well as Matrix Energetics. Oil is not normally used, making the therapy available to people clothed in flexible clothes, like yoga clothes. A hot coconut oil version of Harmonic Resonance Bodywork is popular among those who like a traditional massage approach blended with Trager. The bodywork style uses gentle, rhythmic and enjoyable wave-like movements that pass through the body. The “rhythms” are based on the client’s own natural body resonances. All parts of the body are energized by continuous wave-like harmonic movements that bring deep relaxation, neurological improvements, healing and enhanced mobility. It induces a meditation state and can be helpful to those learning to meditate. I try to work in a state of meditation to encourage a harmonic resonance with the client through touch. Soft flexible clothing is recommended such as is used for yoga. Clothing is optional for the coconut oil massage blend. It’s your session, feel free to make special requests for your healing. People report that Harmonic Resonance bodywork has helped them physically, reduced pain, speeded their own healing and induced a positive state of being that lasted. -Sufi Healing which I studied through Alima on San Juan Island, Friday Harbour, USA. It is an energy healing modality. -Medicine Buddha Healing -Lifestyle counseling to deal with chronic disease issues and give advice on vitamins, foods, exercise and mineral supplements for a long, happy and healthy life. -Therapeutic and Energetic Healing (similar to Reiki) -We have been working with Matrix Energetics with success for several years. It can be added to any therapy upon request. 30 years experience. Well heated, friendly office with 2 massage tables, available 7 days a week! 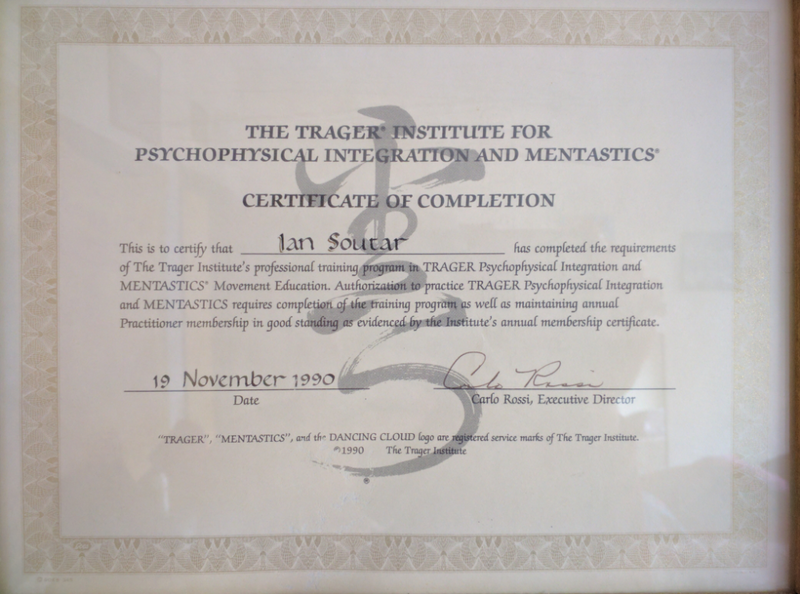 I completed professional training for Trager Bodywork through the Trager Institute in California back in 1990. The healing modality was invented by Dr. Milton Trager MD in the 1920s. Trager Bodywork is a cross between massage and movement education and is similar to the Feldenkrais Method. Trager is a popular therapy in sports too, to assist with injury recovery. 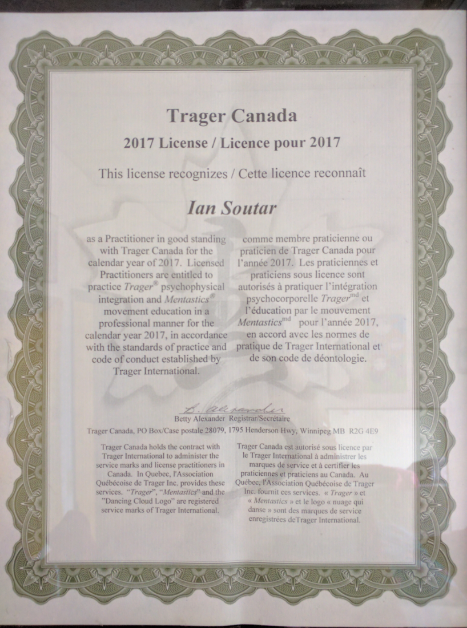 I am currently a certified Trager Practitioner registered with Trager Canada. All Therapies offered above are non-sexual. In order to be truely wholistic, I am also professionally trained and certified through the Erospirit Massage school on Saltspring Island BC. I completed a 150 hour apprenticeship in “Intimacy Education” with Caffyn Jesse in 2016-2017. Based on the work of Caffyn Jesse and Betty Martin, I offer “Intimacy Education”, a bodywork modality to provide sexual healing for issues associated with trauma, disease, injury or aging. We may use herbs, diet, ritual, exercise, education and pleasure therapies. It is offered in the spirit of love and respect for the client’s needs. Radiation Hormesis Scientific Site: Health benefits of low level nuclear radiation.